The use of app store keywords is a vital component in the successful promotion of your app, making it discoverable to users who aren’t aware of your business, or that your business has its own mobile app. Apple provides a dedicated field for adding keywords to your app store listing, while Google pulls keywords from your app description, and other elements of your app store listing. 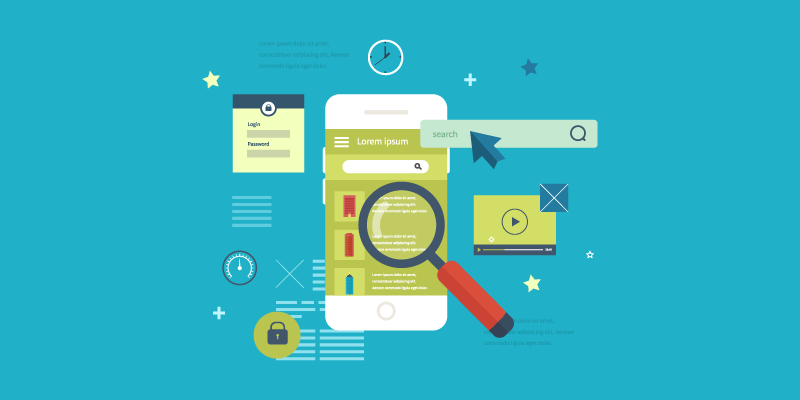 What is essentially the same for both app stores is how you go about researching and selecting app store keywords, with an emphasis on research – a carefree approach to keyword research, and ongoing optimisation of your keywords, will result in your app being largely invisible in app stores. Following the steps outlined below won’t magically result in your app being an enormous success, but they will guide you to improving the discoverability of your app, which could result in more users installing your app. Brainstorming for app store keywords is not something you do during your lunch break, scribbling a handful of words on the back of a paper napkin. Start by compiling a list of words and phrases you would associate with your app, and get your employees to contribute too. However, this is not about words and phrases you would want associated with your app, but rather what a typical user or customer would use when searching for an app that offers what yours does. If you find it too difficult to ignore your inherent bias, try asking your current customers what they would search for. The best way of approaching this is to first create a few scenarios, and then ask your customers what they would search for in each scenario. SeedKeywords is a great tool for accomplishing this online: you will be given a unique URL after creating your scenario, and you can then distribute this URL via your social media accounts, your website and even to selected email contacts. The results are collected online, and with app store keyword research you can simply ignore the “Submit Query” function since you will be assessing the results differently to standard keyword research. Use the autocomplete function on both the Google Play and Apple App Store search function to see what comes up when you type individual keywords in. Doing this won’t only give you an idea of what phrases to construct using specific keywords, it might also give you ideas for keywords you hadn’t thought of. Use tools such as AppTweak and App Annie to discover what keywords are associated with your competitors, and how they rank for each of them. Don’t limit yourself only to similarly sized competitors, you have to include big name brands too since you will be competing against them for discoverability. Use a thesaurus to look up a few synonyms for each of the keywords, but limit yourself only to synonyms that are commonly used. Once you have completed the above step, you should have a good – if somewhat clunky – list of possible keywords. Which is great, until you remember that Google Play doesn’t provide a separate field for keywords, and Apple limits their keyword field to 100 characters. So your next step is to sort your list of keywords according to strength and preference. Sorting keywords does not involve dumping any of the keywords and phrases you collected in Step 1; in the next step you will fine tune your list. App store optimisation is an ongoing process and, especially in the beginning, you will occasionally want to try out completely new keywords and phrases without having to repeat Step 1. Instead, you will actually sort them according to relevance – from most relevant to least relevant – with some consideration also given to how frequently certain words and phrases came up during the first step of your keyword research. First, you evaluate the keyword or phrase against the actual content of your app. Is “vegan restaurant” relevant to your app if your restaurant doesn’t have any vegan options on the menu? Secondly, you evaluate keywords and phrases against what your customers are most likely to search for. And this is where involving customers in the first stage of your keyword research helps. Finally, you weigh each keyword up against keywords and phrases your competitors are using, and how relevant they are to your business and your app. Remembering that the Google Play store pulls keywords out of your app description, you should also pay attention to how many of the words can be paired, or used together in syntactically correct sentences. Each of these tools offers different insights, using their own metrics, so you would need to see which of them gives you information that you understand and find valuable, and within your budget. Difficulty – also referred to as Chance or Keyword Efficiency Index, which indicates how likely you are to rank highly for this particular keyword or phrase. Search Volume – also shown as Search Score or Volume, essentially how frequently this word or phrase is used in search. Results – also shown as Total Apps. The total number of apps using or ranking for each particular keyword or phrase. You would be most interested in keywords and phrases with a higher search volume, and low competition (or higher chance percentage). Once your app appears on the respective app stores you will start looking at Rank too, along with whether or not the ranking has improved over time. In the above screenshots, the app used ranks well for “vegetarian restaurant”, but this is for a phrase that has a low search volume. The competition on this phrase is also low, but that is likely because other app developers have already found this isn’t a high-volume keyword. If you have both an iOS and Android version of your app, you need to perform this step separately for each version. Most of the tools mentioned above allow you to analyse keyword performance on both the Apple App Store and the Google Play Store, and for iOS, some of them even distinguish between the iPhone and the iPad. The difference in user behaviour on the different platforms is sometimes very noticeable. The tools also allow you to analyse keyword performance across multiple territories, so make sure you have repeated the analysis using all the countries you intend targeting. If you are only targeting users in the UK, you can stick to only analysing the app stores for the UK and Ireland, but if you also intend targeting users in the US, etc. you need to repeat the above steps for each country, taking into account language differences, and even minor differences in spelling and terms, eg. flats versus apartments, holiday versus vacation, etc. 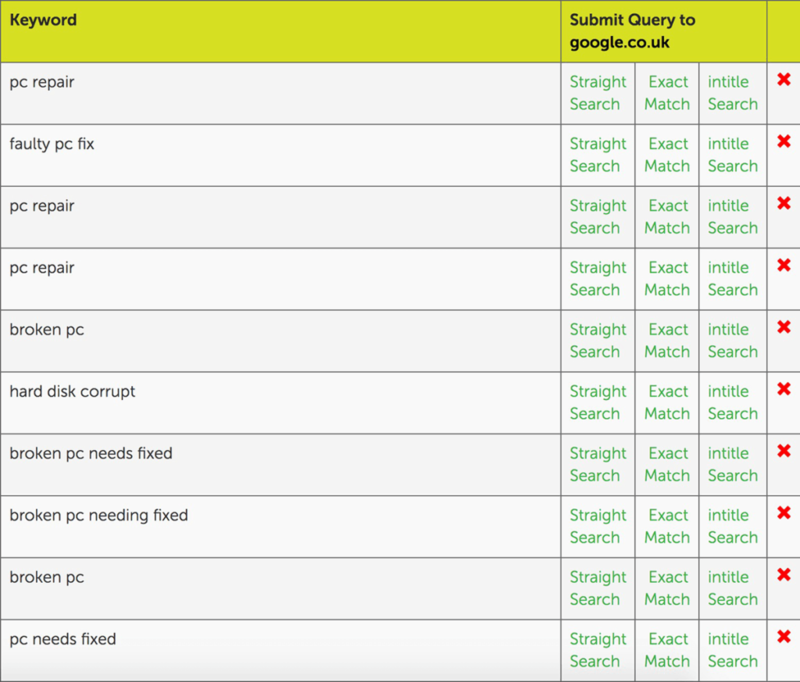 Use these tools to also look at how your competitors are ranking for specific keywords, and what the overall performance has been for each. Separate keywords with a comma, but no space. There is a 100-character limit and any spaces are wasted characters. Don’t repeat any words, and if any of your keywords are numbers, use the digit instead of the word, eg. 2 instead of two. Although the Apple App Store is reportedly better at handling plurals now, if any of your keywords are plurals, experiment with using both the plural and singular form at different times, and see whether it affects your app’s discoverability. Don’t repeat any words that already appear in your app name. Optimisation is the ongoing step we mentioned at the start of this section, and like SEO, effective app store optimisation (ASO) requires you to monitor the performance of your keywords using your preferred tool referred to in Step 3. In time you will notice that your ranking for certain keywords improves, while for others it will drop or remain unchanged. This is an opportunity for you to then switch the underperforming keywords with other keywords you collected in steps 1, 2 and 3, and to then see if this helps with the discoverability of your app. Doing this in the Apple App Store merely requires you to make changes in the keyword field, but in the Google Play Store, you will have to make some changes to your app description text. Keyword research is not a simple task, but it shouldn’t be seen as laborious task either; the more effort you put in, the better the results will be. And once you are aware of the importance of ASO, and the different processes involved, you may eventually find yourself discovering new keywords without too much effort. 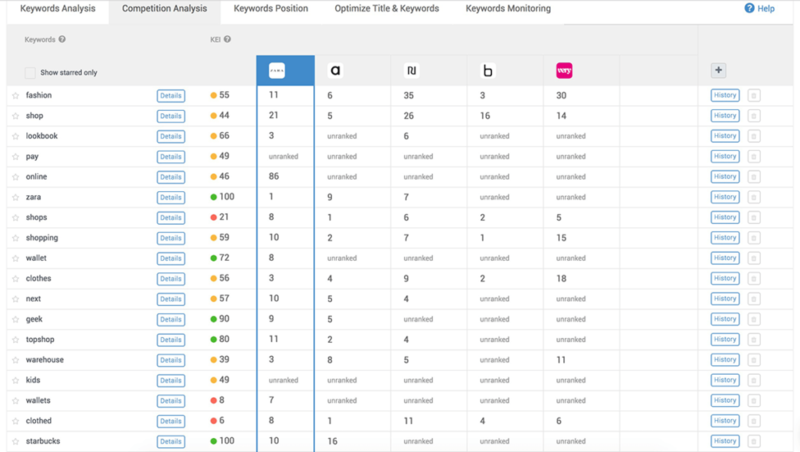 Perhaps the most important part of keyword research is paying attention to how relevant each keyword is to your app, customers, and business, and whether or not your competitors are using each particular keyword, rounded off with ongoing optimisation.